Hale Nene is a private cottage located on a quiet street in the Volcano Golf Course and Country Club Area, just 5 minutes from the entrance to the Hawaii Volcanoes National Park. This unique retreat is nestled beautifully in the Hawaiian rainforest, and allows incredible closeness to nature. Refresh your spirit with the sounds of native honeycreepers and the whisper of the high elevation breeze through the trees. 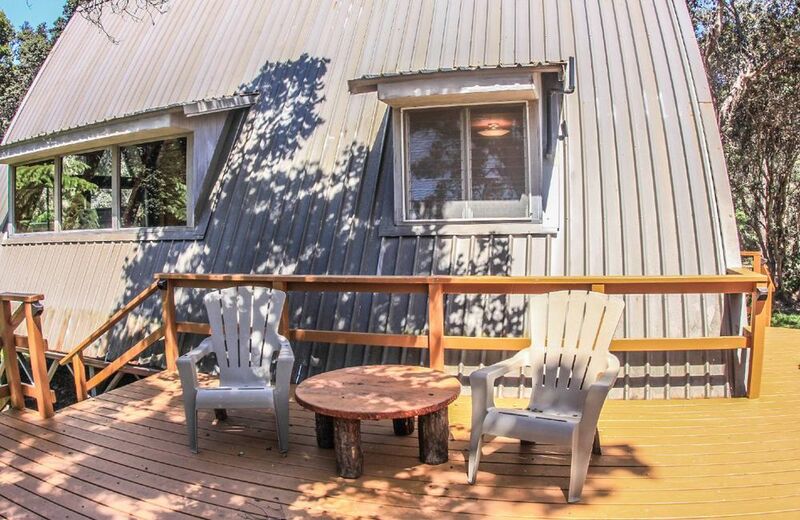 This one bedroom home is perfect for honeymooners, a special anniversary, or as a writer or artist's retreat. 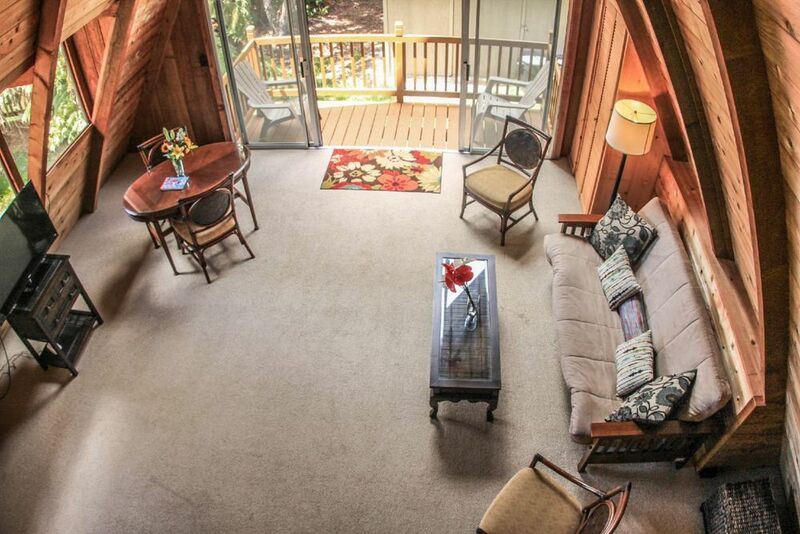 With a brand new queen-sized bed and fold out futon couch in the living room, it sleeps 2-4 guests comfortably. The bathroom is complete with a shower, bathtub and laundry facilities for your convenience. Equipped with a kitchenette, gas fireplace and small private deck, you can enjoy complete freedom and self-sufficiency while on your holiday. There is also a shared large shared deck with BBQ, outdoor dining area, patio furniture and a jacuzzi with views of the golf course and majestic Mauna Loa. The house is also equipped with free highspeed wifi, laptop-friendly workspace and cable television. Stroll down the private streets near the golf course, and stay less than a half-mile from the heart of the village or take in some of the many sights of the island easily accessible from here. You'll be just 40 minutes from Punalu’u Black Sand Beach, where you may see turtles nesting and swimming, one and a half hours from from the City of Refuge, and only 40 minutes from historic and beautiful downtown Hilo with restaurants, shops, museums and nearby snorkeling beaches. Children under 3 stay for free. We offer kama'aina rates for State of Hawaii residents. Rooms: 1BD/1BA. Queen-sized bed in master bedroom and queen sofa bed in living room. Complimentary: Complimentary coffee, towels and linen, basic toiletries, starter supply of paper products (toilet paper and paper towels). 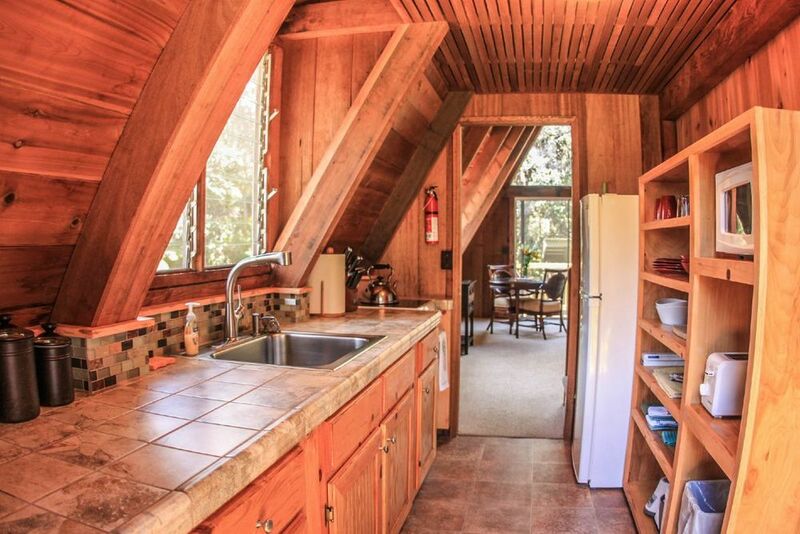 Amenities: Semi-private HOT TUB, gas fireplace, cable TV, free high-speed WIFI, DVD Player, radio, fully equipped kitchen with gas stove, refrigerator, blender, microwave, toaster oven, coffee maker, and all pots and pans, including dishes and cutlery.